Ancelotti puts the record straight on his future. 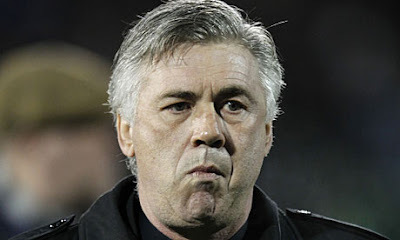 Rumours are rife at the moment as they have been for the past few months about Carlo Ancelotti and his future at the club. After a disappointing season and FA Cup elimination on Saturday the press have moved into overdrive once again and many state that Roman Abramovich could replace Ancelotti. After Claudio Ranieri resigned from his position, Carlo has been linked with a return to his native Italy. "I have never quit, resigned or walked out and I'm not in the mood to quit now. I don't have to consider my position. It is the owner that has to consider my position, not myself. I just have to work and try to do my best. This is football, you have to be able to manage at this moment with confidence." For me anyway, it's good to hear after a confusing comment before the Everton game where he stated he only wanted to manage a side in the Champions League. Carlo is a good man, a good manager and a proud man and the fact that even today, he remains defiant deserves credit. We had seemed to be getting back on track after three wins on the spin against Blackburn, Bolton and Sunderland but then it has fallen apart after defeats to Liverpool and Everton and a stalemate at Fulham. The Champions League is the only chance we have left for silverware this season, it's the one we all want and I expect Chelsea to shake off this mini slump and to play well tomorrow night. I know there are Chelsea supporters out there that think Carlo isn't the right person for the job, hasn't got a plan B etc etc. All I will say is that you cannot turn from a European Cup Winner and the Manager that led Chelsea to their most successful season of our history, to someone who hasn't got a clue in the space of a couple of months. I just hope that the players have heard Carlo's comments above and his intentions to see this through and realise that they need to start performing again. Wouldn't it be nice if it started in Copenhagen tomorrow. Chelsea fans, once more this season it's a time to move on, refocus and get behind the team and the manager.